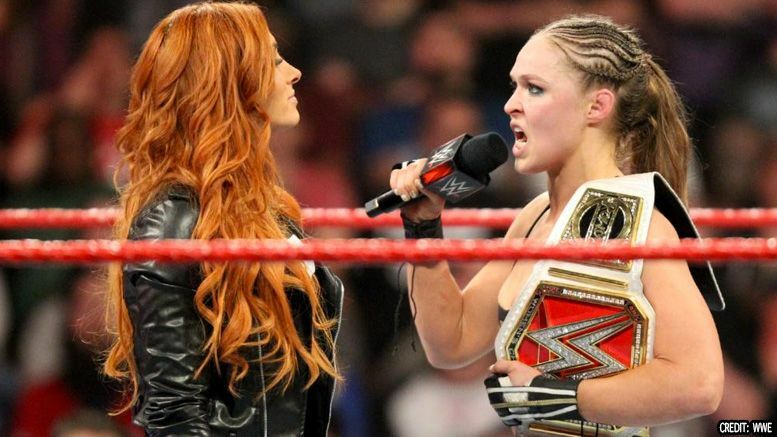 The war of words between Ronda Rousey and Becky Lynch continued to heat up via social media on Monday, with the Raw Women’s champ laying a heavy shot. As you’d imagine, Ronda was quick to respond. Speculation as to whether or not the Ronda Rousey vs. Becky Lynch match will main event WrestleMania 35 is rife, and it’s certainly something the WWE Universe is clamoring for. Do you want to see them close out the “show of shows”? Sound off in the comments.